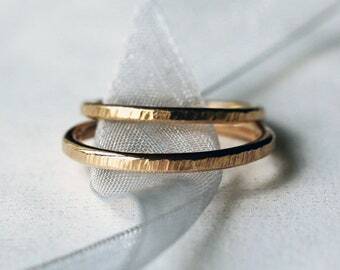 This slim gold band is hammered in a faceted style which creates a subtle sparkle on the surface of the gold. 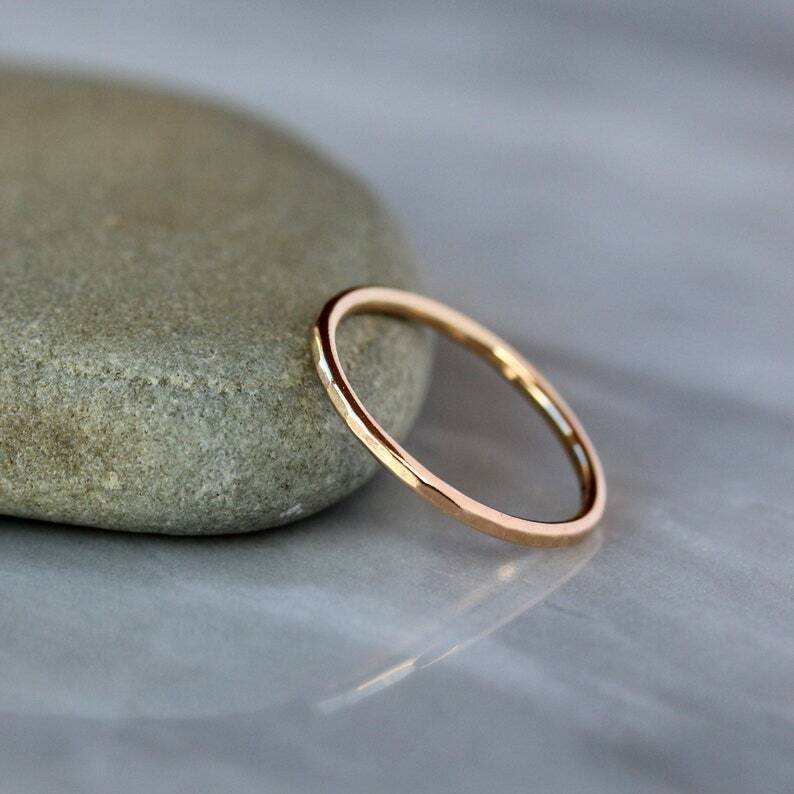 Entirely hand-forged and handmade from solid 14k gold, this is a lovely and simple ring that's perfect for everyday wear. 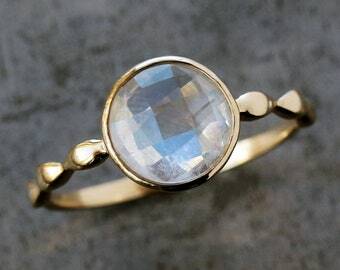 At 1.3mm thick, it is more substantial than my thinnest hammered bands, and is designed to stack perfectly with many of my engagement rings (see below for a list of all the gemstone/diamond rings this band will pair with). This ring has a timeless elegance that will last for generations, perfect for a woman's wedding band. 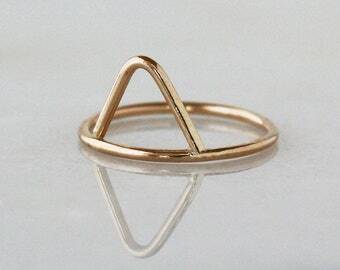 You can choose from either 14k yellow or 14k rose gold. 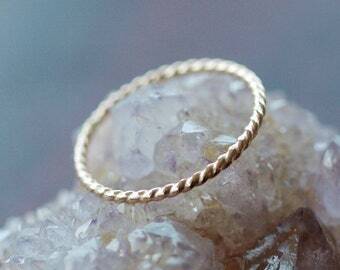 This is not gold filled metal, it's solid 14k gold, recycled and refined in the U.S. in an environmental-award-winning plant. Each one of your ten fingers is a different size, so it's best not to guess. Wondering how to care for this piece? Read my jewelry care tips under Policies. Fits perfectly and beautifully with my engagement ring (the rose cut diamond ring)! 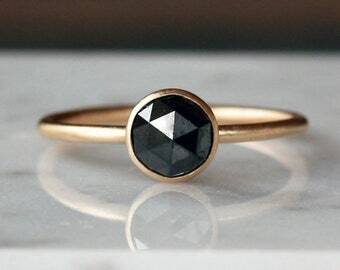 This ring is beautiful and goes perfectly with the black diamond engagement ring. Very delicate and beautifully crafted. Quality is excellent. Highly recommend. Ring arrived very fast, as promised. Thank you so much! What is a custom order? 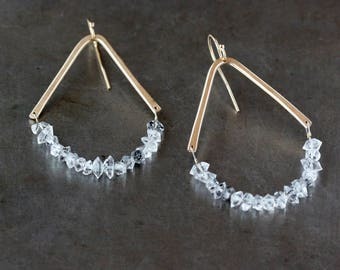 It's anything that I make to your specifications, including rings created in your exact ring size, items created specifically for you at your request, or any item that I altered to your specifications, including (but not limited to) metal changes, necklace chain lengths, bracelet lengths, etc. These items cannot be returned for a refund or exchange. All photos are enlarged to show detail. All descriptions include the exact dimensions of the item, so be sure to look for those important details. 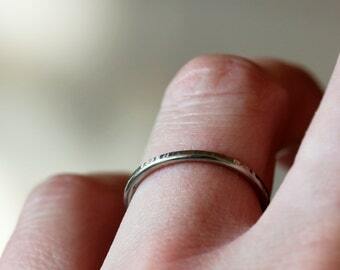 RING SIZING: If you have ordered a ring in the wrong size, I can generally resize it for you. 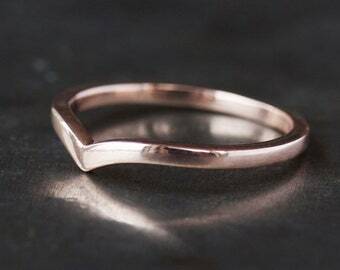 There is a resizing and re-shipping fee which will vary depending on the metal and ring details. Contact me for more information if you need to have a ring resized. 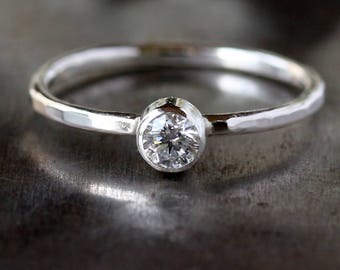 All rings that cannot be resized will state that information in the item description, so you'll be aware of that before purchasing. Important: Never expose gold or gold fill jewelry to chlorine (that includes pools, hot tubs, and bleach). Chlorine attacks gold and causes deterioration. You will greatly prolong the life of your jewelry if you treat it well. Try not to swim, shower, exercise or sleep with your jewelry on. 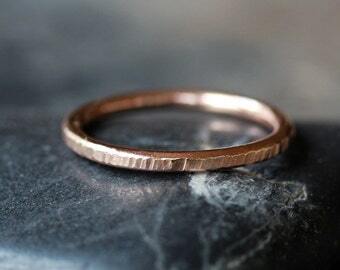 Over time, your brass, copper, sterling silver, and goldfill might begin to patina or tarnish. It's easy to clean your metal jewelry with an old, soft toothbrush and mild dish soap. Store your clean and dry jewelry in plastic bags to keep it protected from the air. Oxidized metals: the black color is a chemical reaction on the surface of the metal. Over time, it will age into its own unique patina. Clean with soap and water only. All items come beautifully packaged and ready for gift-giving, most in Clementine boxes made of 100% recycled materials (a small portion of my larger rings are packaged in fancier, non-recycled boxes). I ship in bubble mailers and boxes that are also made of recycled materials. If you are sending the item as a gift, and would like me to enclose a gift note for you, please indicate that, along with your message, in the "Notes" section at checkout. I love this! Can you make it in white gold? 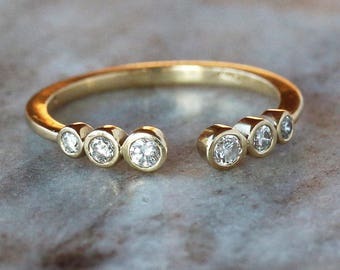 I don't work with traditional white gold because it contains nickel, which is a common allergen. 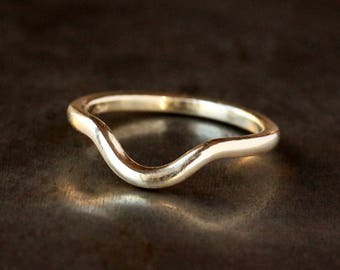 I do have a few rings that I make using Palladium white gold, which does not contain nickel. Just search my shop for "palladium." At this time, Etsy does not have an exchange function. If you wish to exchange your purchase, you will need to send the original item back to me for a refund and purchase the new item as usual. *** Custom and personalized orders are not eligible for return.